Some of our code has been slow for a while. Now that we are importing more sites its come to a point where profiling and optimizing is a necessity. 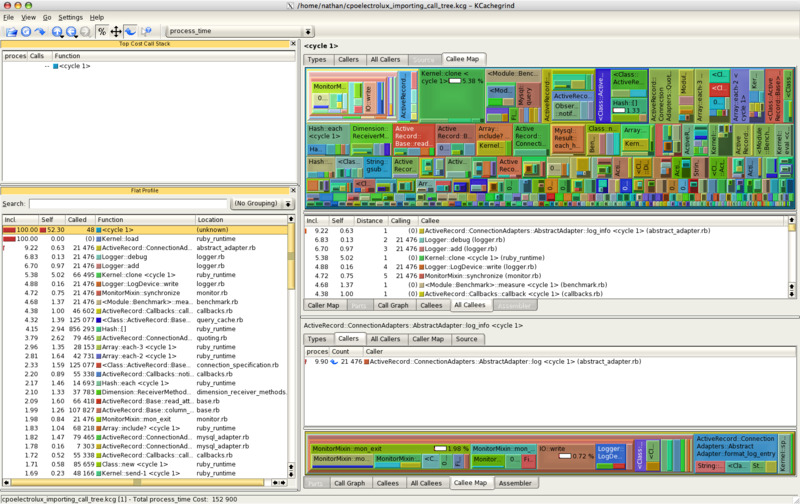 That will output a call tree file that can be read by another great program: KCachegrind. KCachegrind helps you sort and visualize what is taking up the most time. In the screenshot attached you can see that Kernel::clone takes up 5% of the whole process.